It can be extremely stressful, but remember that accidents do happen. It is very important that you remain calm and, if possible, check to see if any other involved party is injured and in need of medical attention. Call the police and file an accident report. This is especially important if the accident was not your fault. Filing a police report doesn’t require you to also fill an insurance claim, but can be very helpful in the event that you need to do so. Call the JMK | Celebrity Collision Center at (973) 564-9300. We will guide you in making the right decision, whether to file a claim or not, if you should go through your insurance provider, or file with the other party’s insurance company. At JMK | Celebrity, we are BMW Certified and work with all insurance providers, arrange for a rental vehicle for you, and guarantee all repairs. It is your legal right to choose where your vehicle will be repaired – not the insurance company’s. It is illegal for an insurance company to steer or attempt to dictate where your vehicle can or must be repaired. Your vehicle is not generic and is, in fact, one of its kind. This is where JMK | Celebrity surpasses your average auto body repair shop. 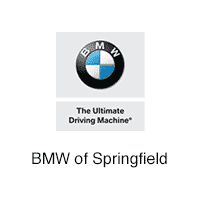 Part of BMW of Springfield, our collision center specializes in BMW, amongst others; equipped with the latest technologies, tools, and equipment, we will confidently restore your Ultimate Driving Machine to factory specifications.